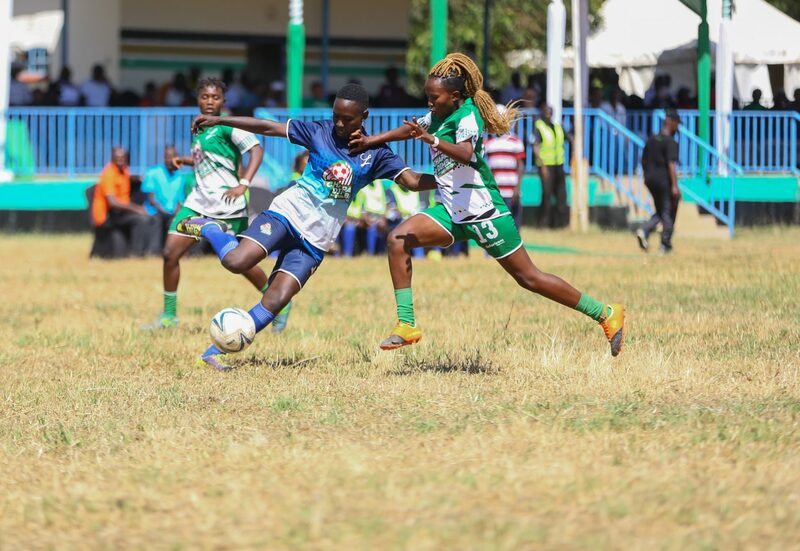 During the Chapa Dimba Na Safaricom Central region finals held in Thika over the weekend, Euronuts from Kiambu in the boys category and Barcelona Ladies from Laikipia emerged as the winners. In the girls match, Barcelona Ladies thrashed defending champions Limuru Starlets two goals to one to emerge as the winners. Jane Njeri scored a brace seeing the back of the net at 7th and 75th minutes to give her team the victory. She was crowned the top scorer with a total of six (6) goals in two matches. Ngonyo Florence scored a consolation goal for Limuru Starlets just before full time ending the march at 2-1 in full time.